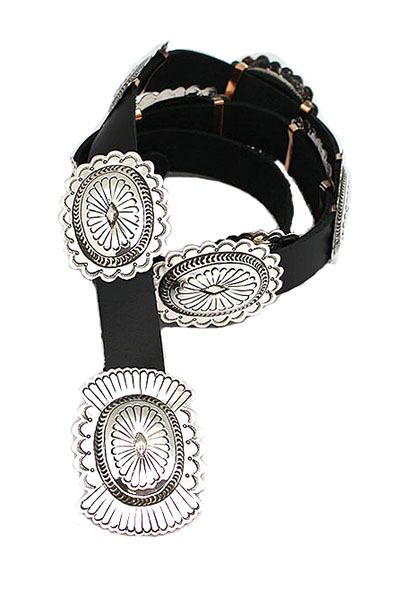 This concho belt is on black leather with a total of 11 stamped sterling silver conchos. Leather is about 1" wide, with conchos measuring approximately 2 1/2" long by 2" wide. Buckle concho is about 3" long by 2" wide. Whole concho belt is about 54" long. Handmade by Navajo artisan Carson Blackgoat. Only this one available.